Are you a business owner? Are you an employee of a large business? Here at iOutdoor, we cater to all outdoorsman that want to experience something different. While you are traveling for business or want to plan something for an employee, we have you covered. Convince your event coordinator to plan an outdoor adventure of a lifetime for all their hard working staff. 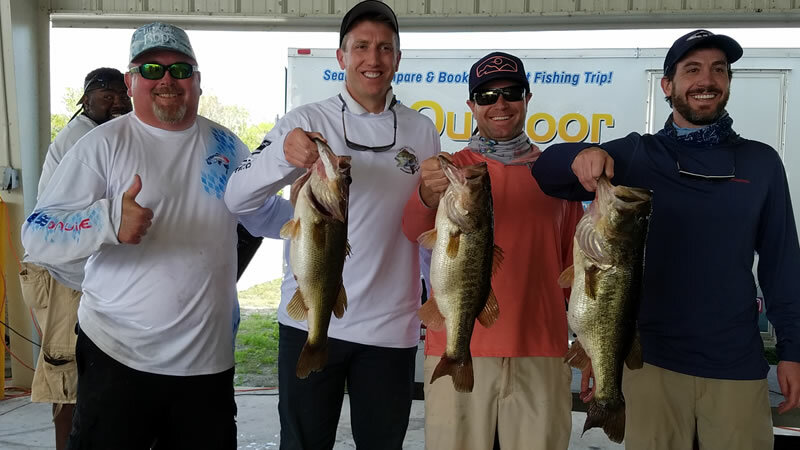 Hop on board and enjoy a 2019 Corporate Fishing Events right here in sunny Florida! Fishing is one of the BEST ways to experience Florida. Many companies and charities are always looking for new ways to entertain and show an amazing time. Don’t count out a fishing adventure. iOutdoor can supply any capacity you have whether freshwater or saltwater. Throughout this year, we have had the opportunity to work with some amazing corporate and charitable causes. and racing fans for an exciting day of fishing during the Ford Ecoboost Weekend at Homestead-Miami Speedway and the Daytona 500 at Daytona International Speedway. 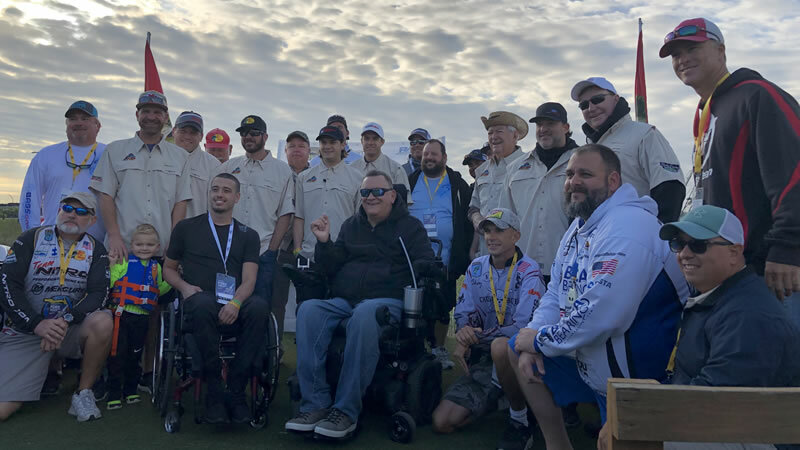 These unique tournaments benefit The Darrell Gwynn of Life Chapter of The Buoniconti Fund to Cure Paralysis and takes place in the infield lake at both tracks in Florida. 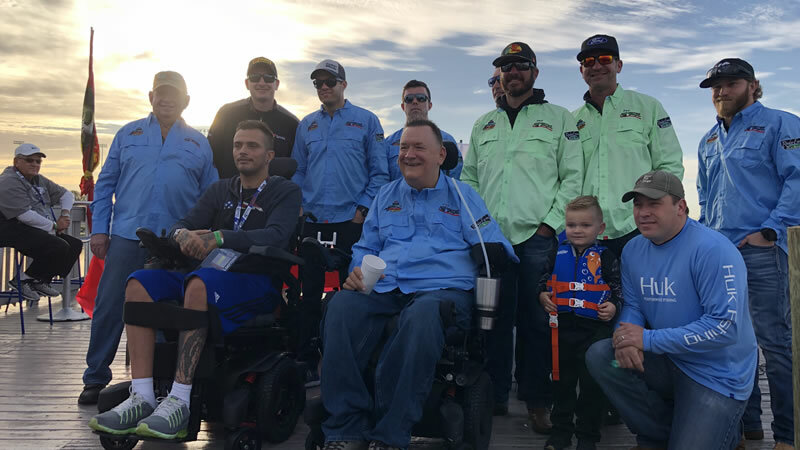 NASCAR Drivers team with NHRA Hall of Fame former drag racer Darrell Gwynn to raise awareness of spinal cord injury research and people living with paralysis. The Darrell Gwynn Quality of Life Chapter of the Buoniconti Fund to Cure Paralysis, the event host and benefiting charity, is a fundraising arm of the Miami Project to Cure Paralysis. The sponsors for this event include Bass Pro Shops, Huk, Rocky Mountain Twist, Montana Brand, and Rader Farms. 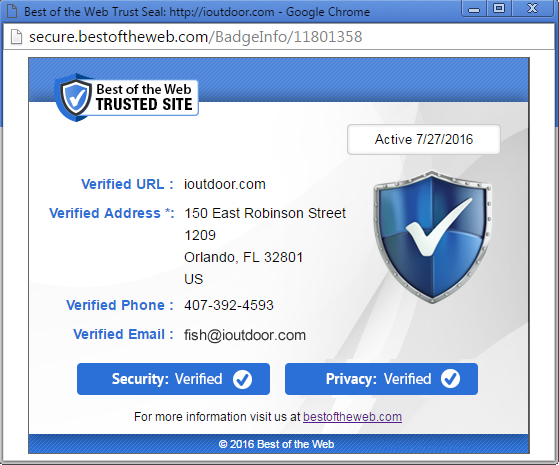 The event could not be done without the help of our local experts here at Bass Online and iOutdoor. This is an amazing event for an amazing cause. The fundraising for this event helps to provide a paraplegic with a new wheelchair to assist them in their life. If you want to be part of this, please contact us and we will get you in touch with the right people. Check out some pictures from this year’s events at Miami Homestead and Daytona 500! Another amazing corporate event that takes place every year is the Andrew Scott Johnson Memorial Fishing Tournament. On December 28, 1999, Scott and Robin Johnson’s son Andrew “Andy” Scott Johnson was tragically killed in an automobile accident at the age of 19. At the time of his death, Andy was a sophomore at Vanderbilt University studying Civil Engineering with hopes of entering the family business. 19 years later, this amazing charitable corporate event provides a college scholarship to families that have been affecting by the same events. Next year will be the 20th annual event in Okeechobee City, Florida. After many years of finding the best place to fish for largemouth bass here in Florida, they found home on Lake Okeechobee. The event this year was hosted in Okeechobee City at the Scott Driver Park Pavilion. 2019 was one of the best events they had so far. 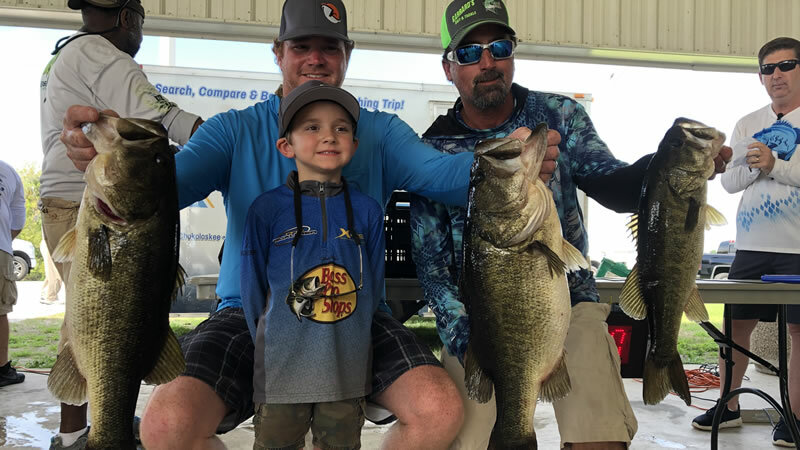 Everyone had a blast catching big bass on Lake Okeechobee. Sometimes you need a break from your everyday life. There is no better way to spend your break than fishing for a charitable cause. Get your friends, family, co-workers, and bosses to enjoy an amazing event like one of these for memories of a lifetime! Everyone is there to share memories of the past and enjoy some time on the water with dear friends and co-workers. Check out some pictures from this year’s event HERE!! Corporate events are a great way to get on the water, especially if you never have been. You can’t go wrong with it and we can supply any number of boats you throw at us. We would love to show you an amazing time and create memories worth remembering. Please contact us today if you would be interested in something like this or know of a company that would fit perfectly!